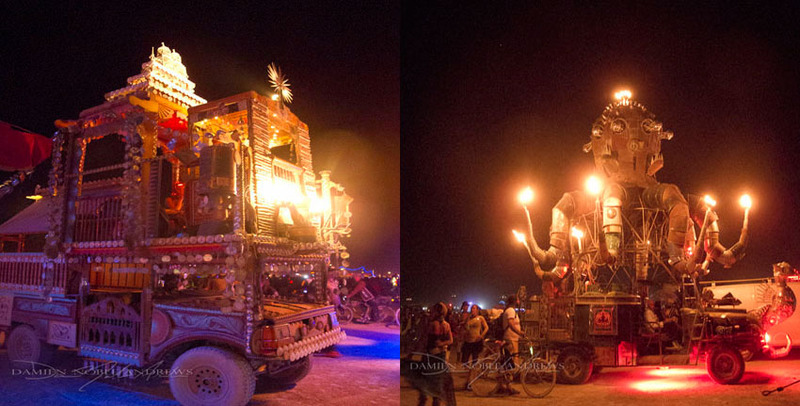 This year Jonathan and I had to make a difficult decision : to return to Burning man or go to Italy. 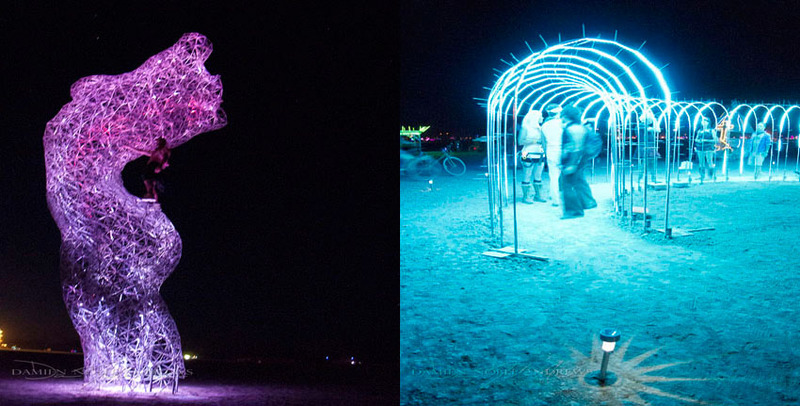 To some the answer is obvious – GO to BURNING MAN. 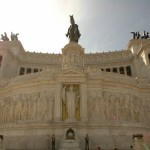 To others, it is simple, “Go to Italy”. And I have a feeling that you can know depending on the person, what they would say. For me, I was torn. I have always wanted to go to Italy and this was the trip I had waited for. 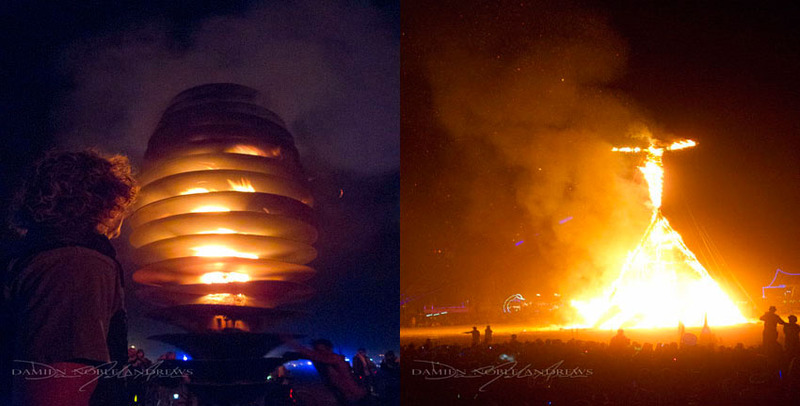 But it meant I would be gone during BURNING MAN. Once a burner, always a burner. It crawls into your skin and plants itself into your cells. 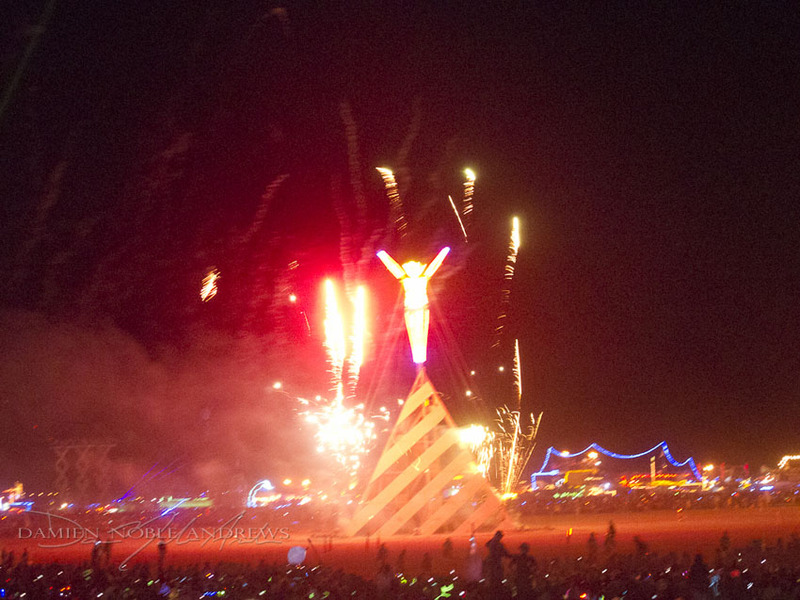 You dream of it all year and your reality forever changes after a burner experience. So I had to catch up with an old friend who did go. I am vicariously living through him. I am so jealous and excited about his trip and experience, I want to share my Cyber Experience with you.Damien was one of the veterans who cared for Jon and I last year. When we showed up without shade, he and his wife Michelle offered theirs to us. They were part of our camp 11:11. 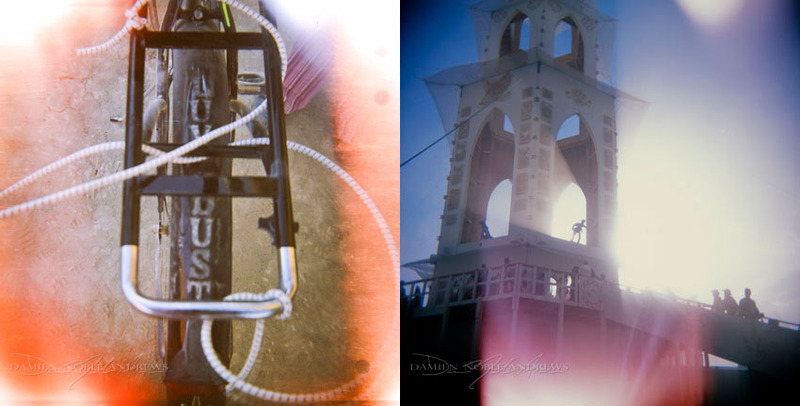 We quickly became friends and they helped us amp up our costumes and find the art installations. I didn’t quite realize how amazing his photography skills were until we returned. That is the best part of living in Black Rock Cityevery one is simply an artist, a human, a relationship/friendship. It is not based on “who is who”. 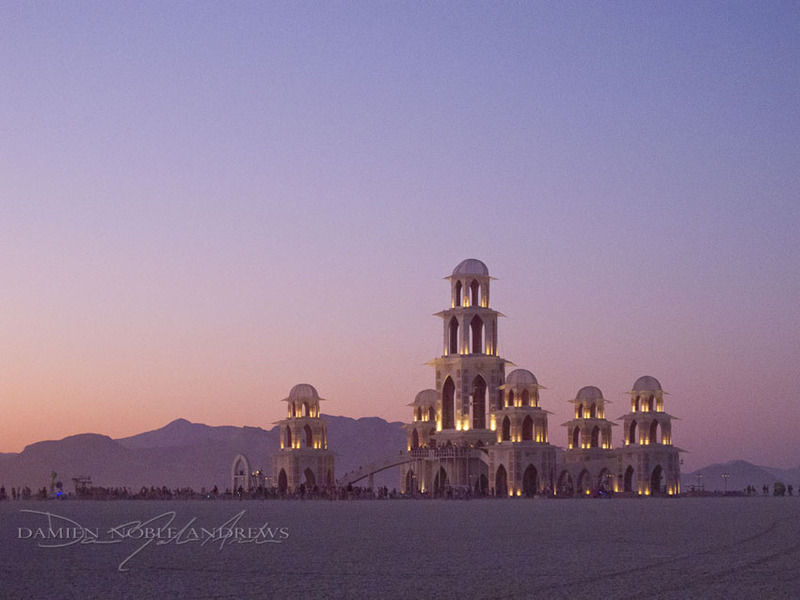 So he had no need to sell himself with his photography credentials.This year Burning Man celebrated their 25th year anniversary. It was deemed the Rite of passage. 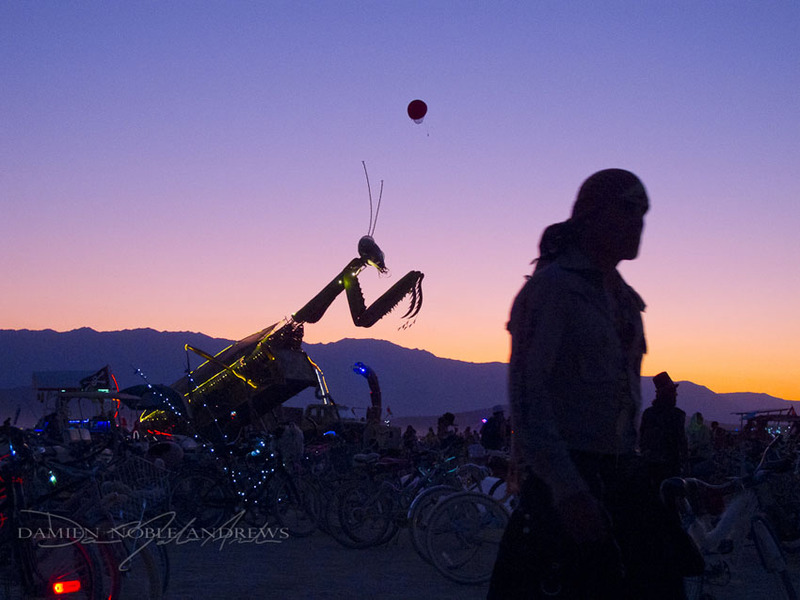 As 50,000 people gathered in the playa for a week-long art and music festival, the world experienced a self-made community that thrives on free expression, art, and generosity.For the first time in Burning Man history, the man had his hands down in a walking position. All other times his hands reached up toward the heavens. 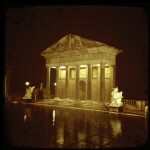 It was also unprecedented to have a building or art installation taller than the man. 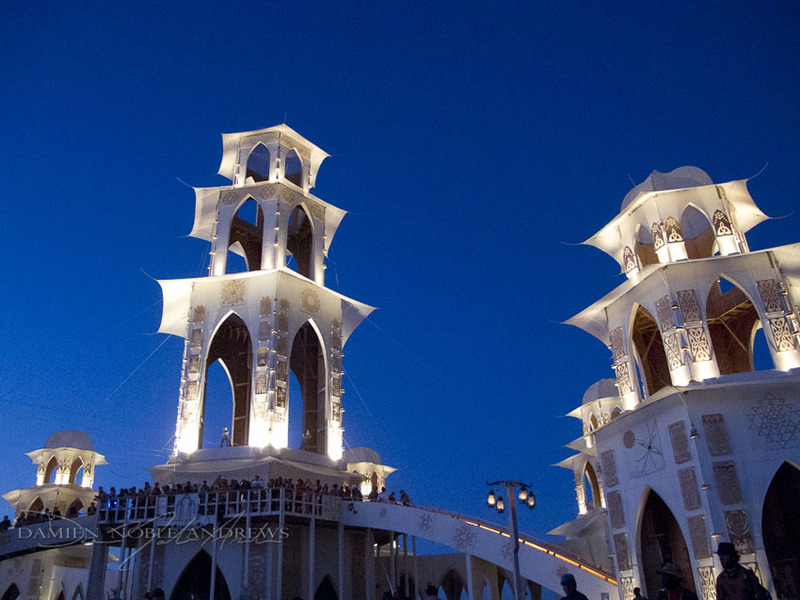 However, this year all of the focus was put onto the Temple of Transition. I love that here in the temple, each one contributes a thought, a note, a message. It is not in what you are given, it is in your participation that you are blessed. Some wait all year to spread a loved one’s ashes here in the temple. It is a sacred space. I love this video of the evening Harpist performance. Damien was blown away by the temple. He found it, “Spiritual” and “Phenomenal”. As I soak in his photos, I am touched. 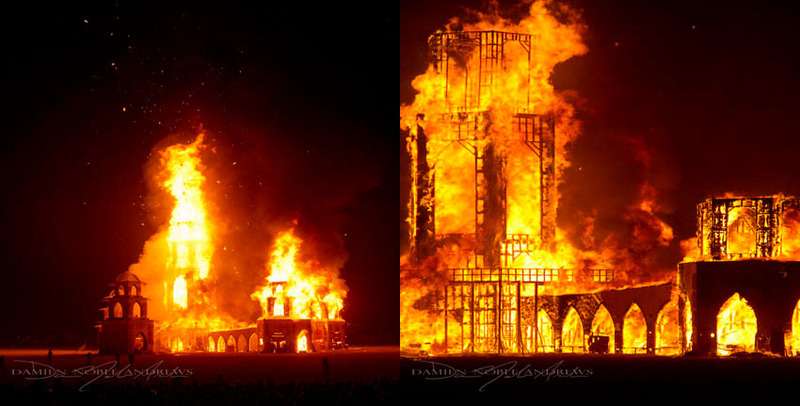 The craziest part of the temple is that at the end of the week it burns. Damien was fascinated with the LED domes that you walk through and the Light Snake. 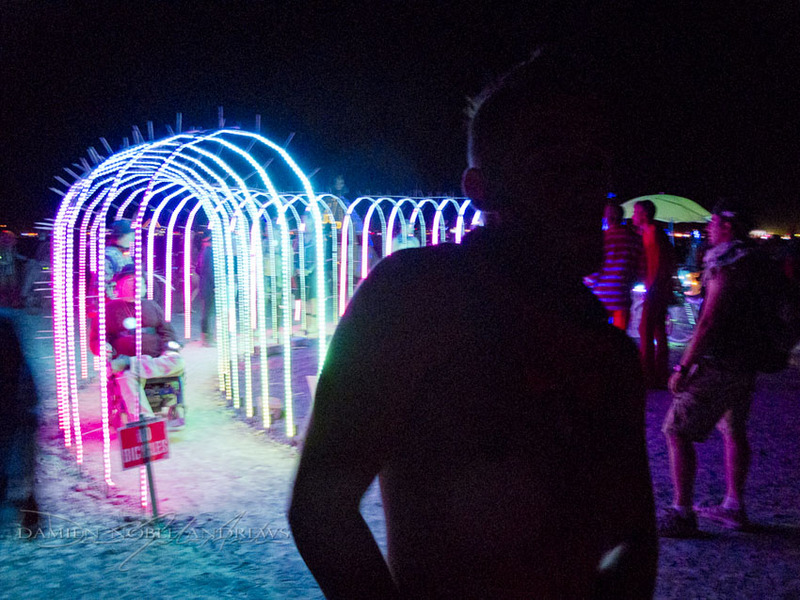 The light Snake is an LED light party with a DJ booth that has turntables. However these turntables altered the color of the lights. And another set of turntables altered the sped of the lights. As the music played participants could change the scene of this light party. What if our events were more interactive? What if our guests could participate in the space and design and become part of the event? “Art is yearning to be interactive,” states Damien. 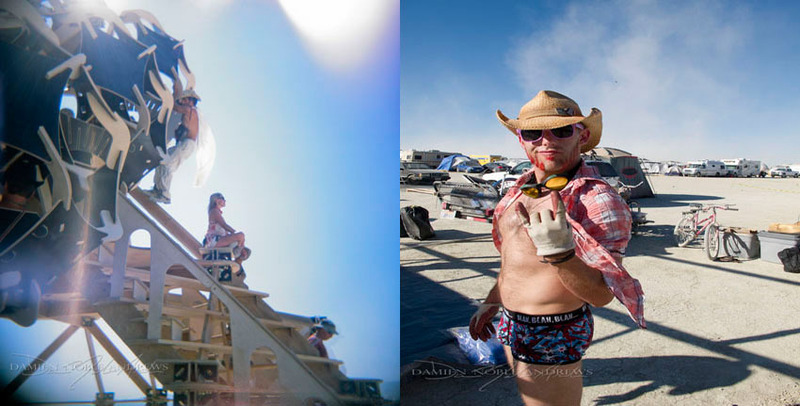 I think that this is one of my favorite elements of Burning Man. Here art and community join and play off on one another. The 11:11 camp also had an audience participation installation. People could light the towers that shoot up toward the stars. Today, 11:11, if you happen to be driving across the Golden Gate Bridge, you will see Damien as well as the whole 11:11 camp. They are in the middle of a photo-shoot. You can expect some amazing costumes and lots of energy. 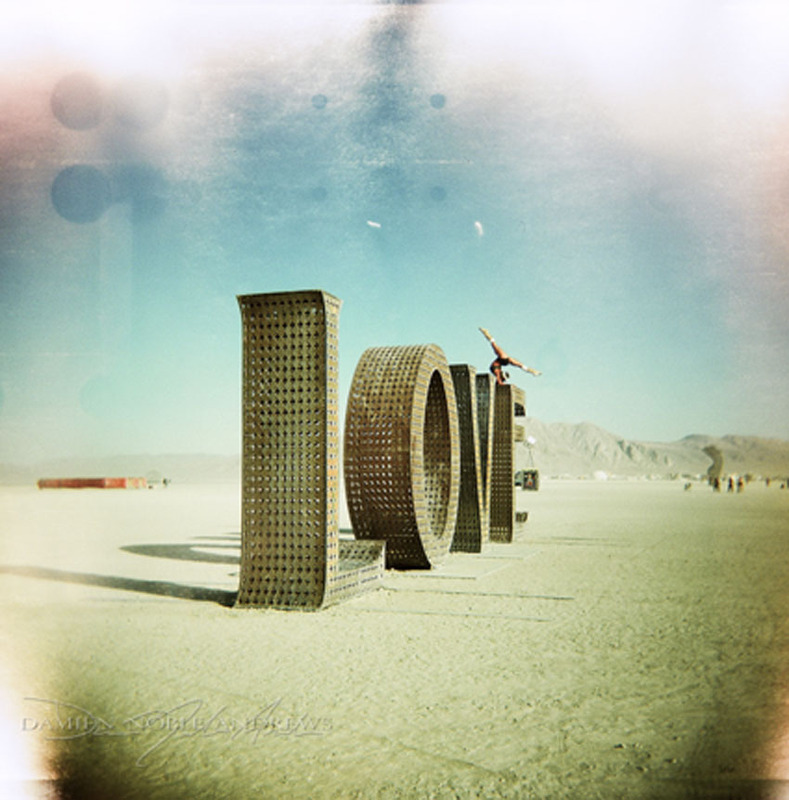 And perhaps for a second you will feel some acceptance, generosity and free love. Here you can be who you are. 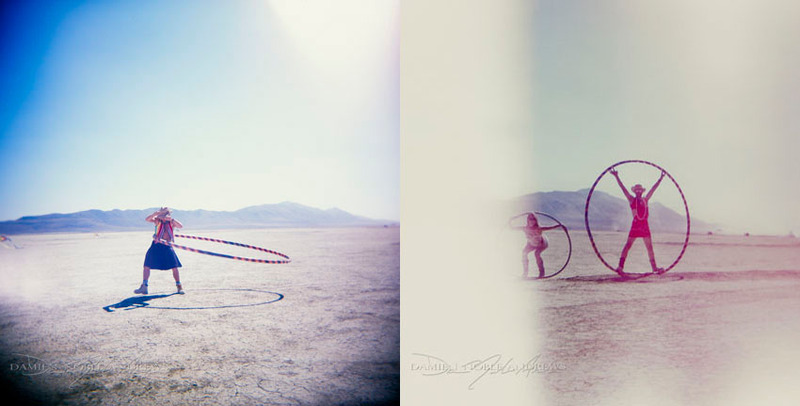 Thank you for traveling to burning man with me via Damien’s photojournalism. I have enjoyed the experience. I want to thank Jonathan for interviewing Damien and really getting inside his head to bring this experience to life. 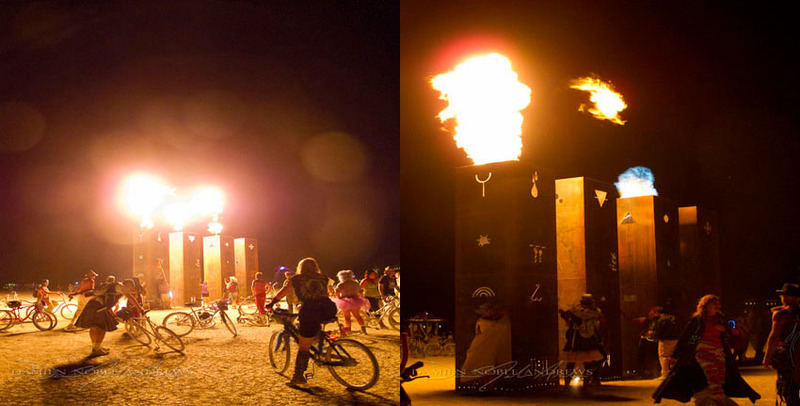 This entry was posted in Burning Man, Travel and tagged Burning man. Bookmark the permalink.